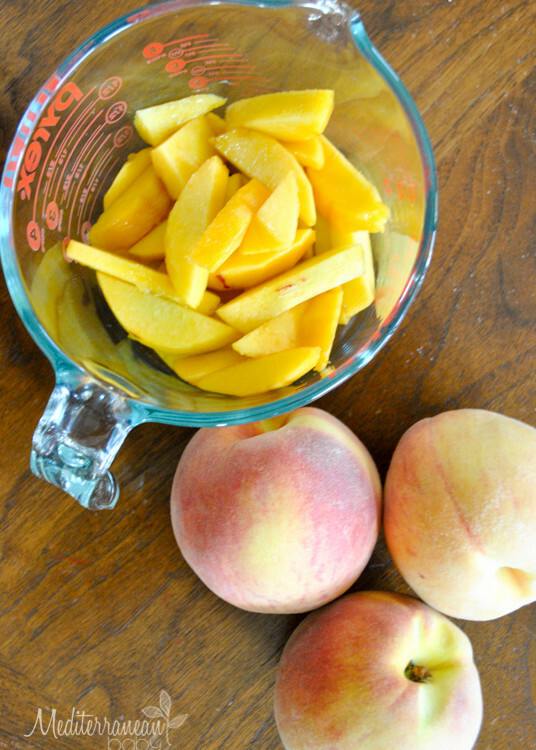 Yum, Yum, Yum…Fresh Pennsylvania peaches are in season and they are phenomenal. If you can find them at a road side stand or farmers market, do yourself a favor and buy them! 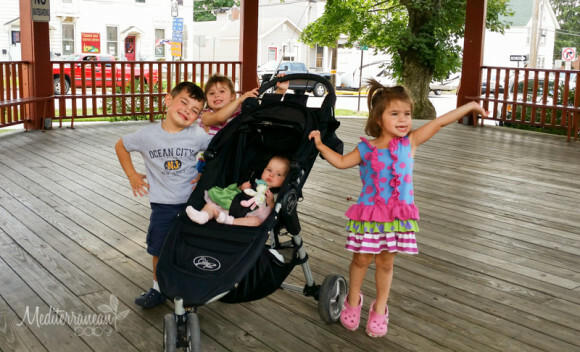 I had some business at the Clarion County Courthouse last week and decided to make a day trip of it with my Thea and the four little ones. It was a lovely drive and a lovely afternoon in Clarion. 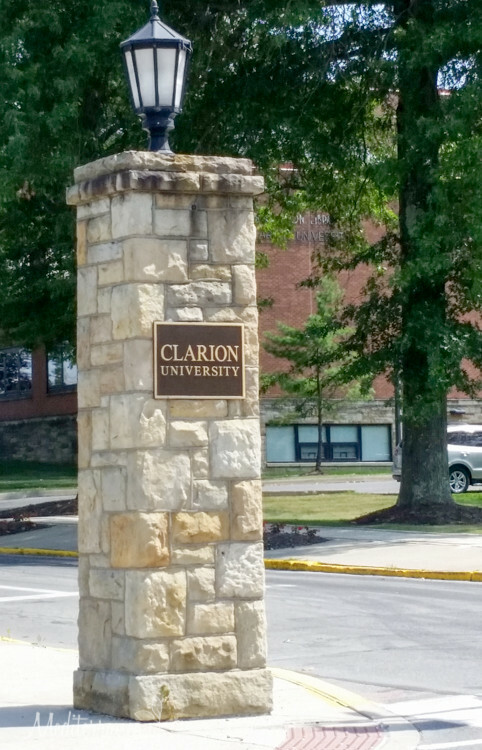 I made it a point to show the little ones Clarion University, my parents’ alma mater. On our way home, we stopped at a small farmers market and picked up some fantastic PA tomatoes and peaches. 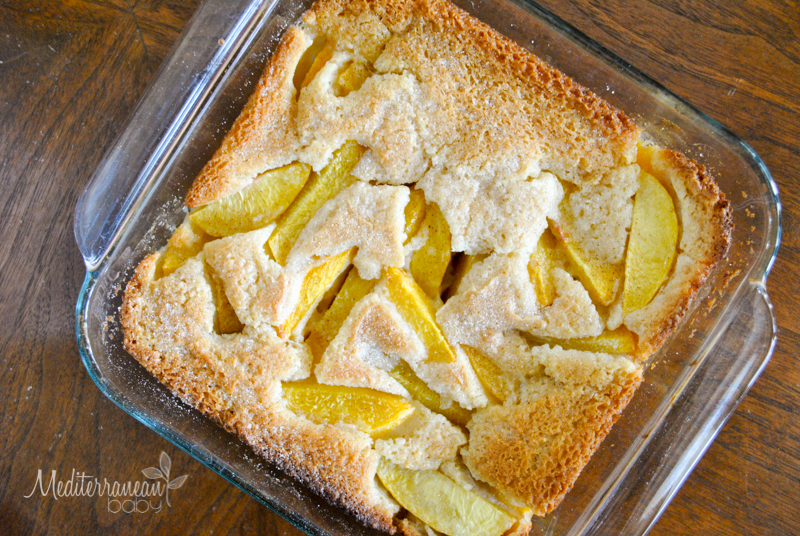 Pressed for time (as always), but wanting to make the kiddos a little treat with the peaches, I created this EASY cobbler. 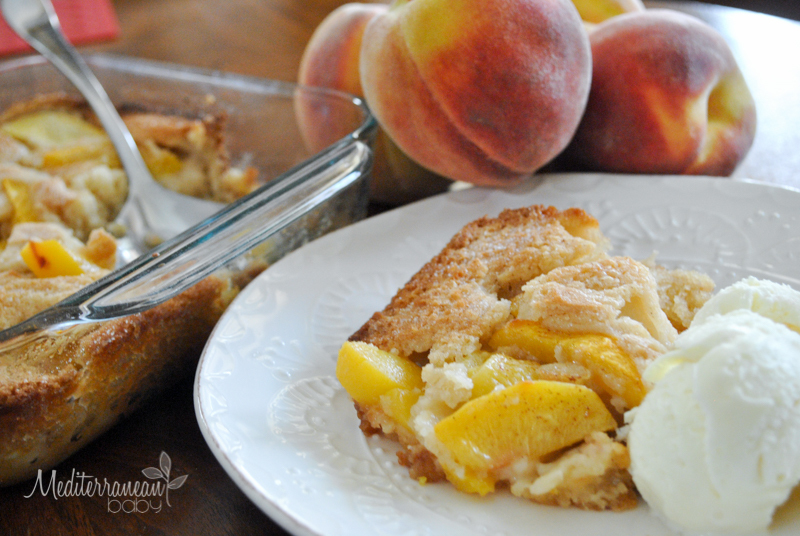 Pick up peaches and make this before the summer runs out. You will not be disappointed! Place the stick of butter in an 8x8 inch casserole dish and melt in the microwave. In the meantime, combine flour, sugar, salt, baking powder, and milk in a mixing bowl. Once the butter is melted, pour the batter over the butter and top with the peaches. Do not mix the peaches around in the batter, just place them on top. 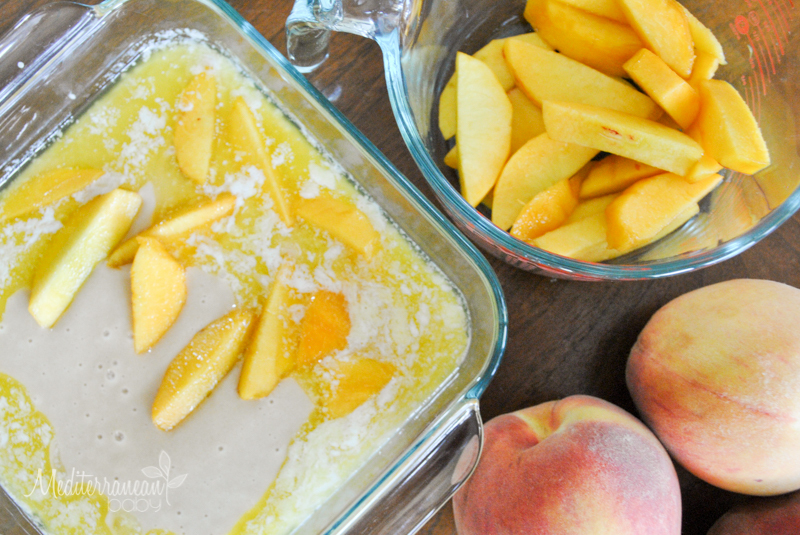 The batter will bake up around the peaches. Place uncovered in the oven for 35 minutes. Sprinkle with cinnamon sugar and bake for 5 to 10 more minutes until golden and bubbling. Serve on its own or with vanilla ice cream. I printed this recipe. 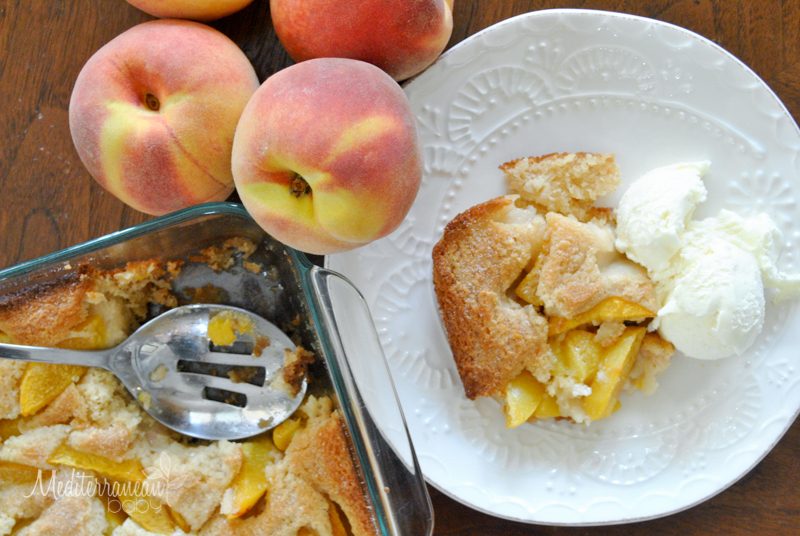 This looks easier to make than Peach Pie. Thank You. 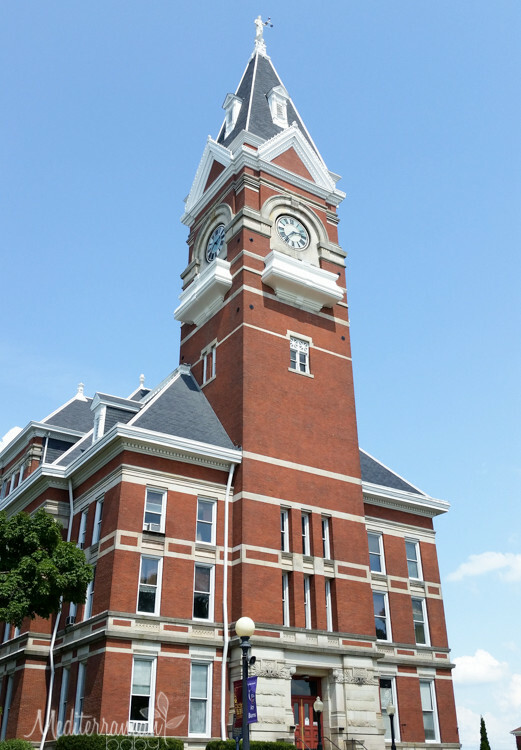 It was also nice to see pictures and reminisce about Wayne’s and my alma mater, Clarion University. Nicole, my family LOVES peach cobbler. This looks delicious and I can’t wait to try your recipe. Your kids are adorable!